April 27, 2019 (Saturday) - Community tree planting, 4:30pm campus of the Penn Valley Elementary school. The PVCA has a long history of tree planting for environmental stewardship. Grab your gloves, and join us as we plant 3 young native trees to celebrate spring and our natural community. Exact location soon to be announced. All ages welcome! Past meeting minutes are listed by date and topic in the index at left. Click here to refresh your memory on the Township Ward map. Wednesday, May 31, 2017, 7-8pm - Watershed 101! Learn a little about waterways in Penn Valley. Maurine McGeehan, Executive Director and Chelsea Heck, Director of Education for the Lower Merion Conservancy discussed the important ecological principles of our waterways and the regional work of the Conservancy to improve the health of the Delaware River Basin. Our waterways have been impacted by human use since the settling of Philadelphia. Come learn about the fascinating history of Philadelphia drinking water and how Lower Merion residents still play a major role in Philadelphia's water management today! After a presentation by the Lower Merion Conservancy, we spent 1.5 hours discussing potential development of Lot 6 Old Gulph Rd. The developer (Vaughn Smith) and lawyer (Dan Coval) presented their plans to approximately 15 residents. Commissioner Dan Bernheim and School Board representative Ben Driscoll were also in attendance. We had a civilized but frank discussion pleading that they consider leaving the lot undeveloped for all of the reasons that we have outlined in our letters to the Township. Peter Grove read his Mainline Times Op-ed piece, and PV resident John Newhall read his letter to the Township. Residents were particularly disheartened by the idea of altering the historic view shed (and one of the ecological hearts of Lower Merion) and by the plan to put a driveway at an already dangerous and challenged intersection (Old Gulph Rd and Mill Creek Rd). West Mill Creek representatives lamented developing so close to a flood plain and the already impaired Mill Creek stream (as presented the Lower Merion Conservancy). Residents share the worry about continued development through subdivision and the resulting pressure on an over-burdened school system and our roadways, particularly in absence of adequate pedestrian/cycling infrastructure in our area. Most residents would like to see Lot 6 undeveloped. That said, we requested that the developer provide renderings of what the landscaping might look like in their current plans, particularly driving west on Old Gulph Road. We also requested that more native plantings (trees with perennial underplantings) be incorporated into the preservation area, particularly to minimize the view of back of the homes from Old Gulph Rd. One resident asked about the credentials/experience of the landscape architect to incorporate environmentally sensitive landscape design with sustainable plantings, and we did not receive an adequate answer on that. Monday, March 13, 2017, 7-8pm - Meet U.S. Representative Dwight Evans at the Merion Tribute House. BOC President and our Commissioner, Dan Bernheim has arranged for Lower Merion Township residents to meet with newly elected Representative, Dwight Evans and his staff on Monday, March 13, 7-8pm. Evans represents the 2nd District of PA. View a map of the 2nd District here. Please consider carpooling as the Merion Tribute House (625 Hazelhurst Ave, Merion Station, PA 19066) will have limited parking. Stay afterward from 8-9pm for the Federation of Civic Associations meeting if you'd like to learn more about the upcoming noise ordinance being considered by the Township. The new noise ordinance will also be discussed at the March 22 meeting of the Board of Commissioners. It will likely be the last public discussion before adoption. Everyone is welcome to attend. The current draft of the ordinance can be found here. Jen Kelly gave an update on the progress being made by the PVCA Pedestrian Safety Committee. This included a petition to Public Works by residents of Righters Mill Rd to add street lamps on Righters Mill Road between Centennial and Woodbine. Board President and Commissioner Dan Bernheim was instrumental in bringing the petition to residents. See his letter to neighbors here. This was in response to the hit and run death that occurred in December 2016. A Righters Mill resident secured permission signatures from over 75% of residents on the strip to approve the inclusion of 7 streetlights. These lights will cost $2,000 and will be placed on every other utility pole in the designated block area. Only one neighbor has expressed concern about light pollution these lamps might cause to their residence. This concern will hopefully be addressed by adjusting the light placement away from their residence, if possible. In addition to the Righters Mill block, members also discussed the need for more street lamps on other darkened streets in Penn Valley to help avoid future accidents. At a minimum, city and school bus stops need to be well lit for the safety of everyone, particularly our children. To get approval for new street lights, 75% of residents must sign a petition in support. Michelle Detwiler will write up comments from today’s meeting on behalf of the PVCA and present them to the Public Works Committee. Read her comments here. The final vote and approval of the lights will be addressed at the Public Works Meeting on Feb 1, 2017. Some residents of Righters Mill Rd will also attend this meeting to speak in support of new lamps for this otherwise dark road. 1. Contact the high schools to help promote and support the idea. The ‘BuildOn’ projects may be a way for the students to participate. 3. Ask the high school football and basketball players to come to the lower schools to promote wearing reflective strips as part of their service day. Kay Sude will follow up with LMHS and BuildOn. It was discussed that all neighbors living in Penn Valley should be more responsible about cutting back their shrubs and trees and clear areas for better vehicular and pedestrian sightlines. Residents should also report any darkened lights, unsafe road conditions, speeders, or any unsafe issues on the Lower Merion Township App called “Report It”. This will call attention to any unsafe issues that need to be addressed. Rotating speed detectors were discussed as a possible addition to Moreno Rd to help slow down fast drivers. According to long-time residents, both of these roads have become in recent years major cut through streets for many people. Fast drivers have made it unsafe for neighborhood children to play, for pedestrians to walk their dogs and for some homeowners to even park on the street. Speed bumps were also brought up as an option. Pros and cons of all solutions were discussed and will be fleshed out more in the next meeting. In the meantime people are urged to use the “Report It” app to help the Township keep account of all the issue types. Residents have noticed the smell of natural gas along the length of Righters Mill Road for quite some time. While PECO has been called out many times to address the situation, no corrective action has been taken to date. We suspect that old gas lines need replacing. Kris Prendergast will follow up with Don Cannon of Public Works. We have heard that gas lines have been replaced in other areas of Lower Merion and would like to know the status for our area. The next PVCA meeting will be held on February 22, 2017 at the PV Elementary School at 7pm. Josh Grimes and Michelle Detwiler discussed upcoming revisions to the LM noise ordinance. The Board of Commissioners will meet in January 2017 to discuss the matter further. Interested residents are encouraged to attend and voice their opinions. Danielle Chacko gave an update on a successful first annual Penn Valley Picnic. On a lovely sunny fall day, roughly 50 people joined together as a community to enjoy live music by the band Wheelhouse. Neighbors came with picnic baskets, and ice cream was provided by Village Treats. Our younger citizens joined in on the fun and set up tables selling homemade crafts and Cub Scout popcorn. We hope this event continues to grow in size for years to come. Jen Kelly discussed the progress being made on restoring our historic William Penn Quaker Penn Valley signs. Twelve signs have been found. A group of residents has cleaned many. PVCA will buy new white, aluminum powder-coated backings to replace the deteriorating plastic backings, and the Township will install them. As part of the discussion, the topic of our historic green and yellow street signs came up. Many signs need fresh paint and some are unstable and need more reinforcement. It was said that Township Public Works is handling all signs and is undertaking a rolling maintenance plan to manage all street signs through the next year. In addition, we learned that the Township has over 300 missing signs. One tough intersection missing a sign is HagysFord/RightersMill. It was asked that if we see signs missing, please take a picture and upload it to the Township’s “Report It” app. 6. Kent Walker and Bob Monroe expressed a request for a new front gate for the Township Transfer Station. They live across from the property and feel that the look and functionality could be greatly improved. 7. Next PVCA meeting will be held on Wednesday, February 22, 2017 at Penn Valley Elementary School. David expressed concerns about litter at the Gladwyne exit ramp at Hollow Road. Members discussed the idea of a community clean-up day. Planning would require a conversation with the Township. Michelle gave a brief review of recent pedestrian safety improvements including road striping along Hagys Ford Road. Jerry Aronson expressed interest in continuing pedestrian safety efforts through possible give-aways at the upcoming picnic. (This was later tabled due to cost concerns but would remain a viable option at future gatherings). He also expressed an interest in raising public awareness about potholes and trip hazards. Michelle agreed to post about Walk to School Day on the civic FB page. Jen reported that we have received 42 donations from the fall newsletter solicitation. 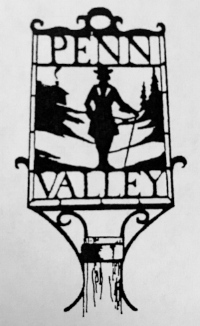 Members discussed communications options including postings on the new PVCA website, FB, PVE and Welsh Valley newsletters, Next Door on Old Gulph, personal invitations to commissioners and Ped Safety Working Group, and email list. Plans were made to create flyers and yard signs and distribute these throughout Penn Valley, including at large institutions. Volunteer sign-up sheets would be made available at the picnic including opportunities to help with the traffic triangle gardens, social media communications, PV signage clean-up, and block captains. Note: A PVCA officer’s meeting was subsequently held 9/27/2016 to flesh out all details of the picnic planning including set-up, outreach, ice cream give-away, decorations, invitations, and overall budget. All officers, Michelle Detwiler, Danielle Chacko and Jen Kelly were in attendance. It was agreed that the PVCA could be a source of news and information concerning important local issues (taxes, school enrollment etc.). Discussion of possible quarterly news blurbs to members. Communications strategy to include Narberth and social media and a potential community walk (with environmental education stations) to be held at West Mill Creek Park. Ted Goldsborough created a delightful opportunity for Penn Valley residents to learn more about area history. Over 25 neighbors packed the conference room of the lovely Lower Merion Historical Society to hear about the history of the Fairview Union Sunday School and stories about Percival Roberts, Jr., owner of the 539 acre estate of Penshurst Farm. Thanks for your efforts and enthusiasm, Ted! Julia Barol made a presentation on the proposal for a boathouse at Flat Rock Park. The presentation is posted below for your review. Residents with links to the Lower Merion and Harriton High School crew teams expressed concern about childrens' safety in the current environment as well as the tenuous nature of current lease agreements as reasons necessitating a local boathouse in Lower Merion. They also reiterated their support for continuing the tradition of crew at the public high schools and the benefits rowing has provided their children. The proposed boathouse would provide bays for the public high schools as well as a bay for community use. A contingent of River Road residents raised concerns regarding potential traffic flows, congestion/noise on the river, funding and size/scope of the project. Commissioners Dan Bernheim and Josh Grimes were in attendance. Further information can be found at: www.LMCboathouse.org. Approximately 50 people attended the 10/21/15 meeting of the Penn Valley Civic Association, including Josh Grimes, running for Ward 2 Commissioner of Penn Valley and Gladwyne, Ward 1 Commissioner, Dan Bernheim, school board candidate David Federman, ex Commissoner Mark Taylor, LMSD Director of Operatons, Pat Guinanne and LMSD Director of Transportation, Dennis Witt and LMPD Traffic Safety Unit Commander, Robert Ruggiero. Chris Leswing of Lower Merion Township presented on "How Does Penn Valley fit into the Comprehensive Plan." He briefly discussed the vision, principles and goals and objectives of the Township's long range comprehensive plan. The vision for the township has not changed for the last one hundred or so years. The primary vision is for Lower Merion to be "A Great Place to Live." A major goal of the plan is to "maintain and retrofit the built environment for modern realities." Leswing explained that fixing auto-centered communities of years past by installing sidewalks and traffic calming measures, and addressing storm water management are two examples. A Complete Streets approach breaks down the traditional separation between planning and designing for drivers, public transit, walkers and cyclists. And safety is the first principle. Some Penn Valley specific initiatives include downgrading Hagys Ford Rd from a secondary road to a tertiary road - designed to be more of a local road than a thoroughfare. A tertiary road would complement the neighborhood rather than cater to drivers trying to get somewhere quickly. Leswing noted that Penn Valley is right on the border of a Lower Merion sidewalk network and that there is reason to have hope for connection. The strategy: Plan will hopefully be adopted by the Lower Merion Township Board of Commissioners on 10/28/15. The Penn Valley Civic and its committees will help to develop a map of where sidewalks are necessary and where specific safety concerns are. The challenges are that there is not enough existing roadway along the entire corridor to accommodate cars, pedestrians and bicyclists. Some will be on residential property. And funding. Township may be able to pay for improvements or match funds or help to determine how to find funding. Leswing said that we are moving in the right direction. Making Penn Valley a walkable community would be in line with what constitutes a great place to live in 2015. There will be lane striping happening in the next year which will help facilitate some traffic calming measures in the near future. This will include cross walks. Officer Ruggiero, Lower Merion's Traffic Safety Unit Commander was once again in attendance. He cautioned against cross walks that might give pedestrians a false sense of security and suggested being careful in selecting sections for cross walks. He indicated a willingness to work with Penn Valley on immediate and long term safety concerns. Thanks to everyone who attended our 1st annual Fall Picnic and Concert in the Park on October 16, 2016! Over 50 residents convened on the soccer field of Penn Valley Elementary School for conversation, free ice cream (thank you Village Treats of Narberth!) and live music by rocking and classy Mainline band, Wheelhouse.